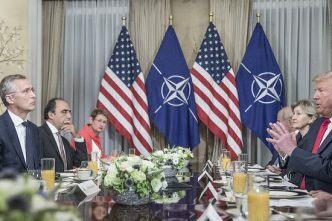 With President Donald Trump having returned from his dumpster-fire-lighting tour of Europe, the media firestorm unleashed by his claims last week that the European members of NATO were not meeting their defence spending obligations, and were therefore free-riding on the United States, has now largely burned itself out. Largely, it was a firestorm in a teacup. 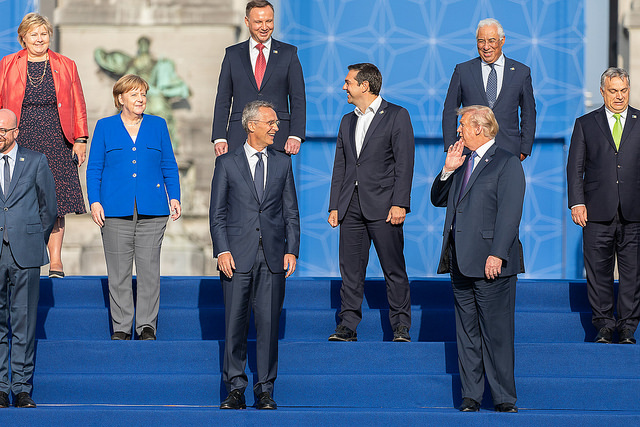 While Trump has proclaimed to his base that he pressured the slacker Europeans into paying their fair share, the European members were already moving towards their 2014 goal of raising defence spending to 2% by 2024. And the summit communiqué (paragraph 3) changes neither the the deadline nor the spending goal (despite Trump’s calls during the summit for the deadline to be brought forward and the target to be doubled to 4%). But is 2% of GDP a meaningful number in the first place? Back here in Australia this question sounds like déjà vu all over again: we went through this debate when the government announced its commitment to raise Australia’s defence spending to 2% of GDP. While 2% has become the benchmark for what countries that are serious about their defence should spend, there’s of course no divine law that says spending 2% of GDP will guarantee your security. Which is why Israel, a country that faces existential threats, spends a lot more—around 6%. 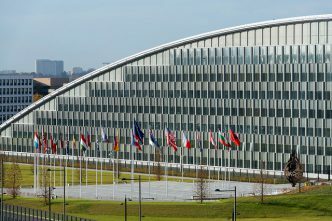 So how much should NATO’s European members spend? Any discussion of the appropriate level of funding needs to situated in a strategic framework that aligns ends, ways and means: what do you want to achieve, what is your plan to achieve it, and what resources do you need to deliver the plan? If you have a clear goal and a viable way to achieve it, you can get a lot with limited resources. If your goals are open-ended or excessively ambitious, and there’s no real plan to achieve them, huge commitments of blood and treasure can be futile. One of the great strengths of NATO was its very clear, but limited, goal—to deter the Soviet Union from attacking its members—supported by a simple plan that rested on a firm commitment by all members to assist each other. Article 5 of the NATO treaty, which requires a collective response to aggression, is explicitly limited to an attack in Europe or North America, not just anywhere in the world. Moreover, the clear nature of the threat made it relatively simple to determine what means were needed to counter it. If the overriding goal of NATO continues to be deterring a Russian attack on its members, 2% of its European members’ GDP should be adequate, and in fact more than adequate. The combined GDP of the European members is 10 times that of Russia. The big-four European members together (France, Germany, Italy and the United Kingdom) already spend more than twice what Russia does. 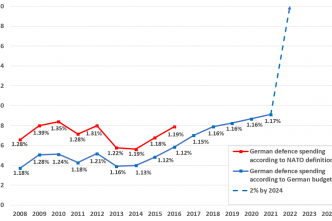 And if Germany were to raise its defence spending from the current 1.2% to even 1.8%, that alone would be an increase of around US$25 billion—close to Australia’s annual defence budget. It’s probably true that the European members have enjoyed too much of a post–Cold War peace dividend for too long. Generally it’s good if you can actually operate the equipment you own. This doesn’t appear to be the case with all NATO members, as a string of revelations over the past few years about the state of Germany’s forces suggests. And the other explicit benchmark that NATO members have signed up to, namely to spend 20% of their defence budgets on acquiring equipment, seems too low to recapitalise their forces. If you want to rebuild (as Australia is doing), capital investment is essential. Australia is at around 30% and increasing. Obviously there’s not a one-to-one correlation between dollars and capability—Russian equipment and personnel costs are much lower than western European costs; some European defence budgets include things that aren’t directly related to military capability, such as pensions; European acquisition programs tend to be driven by domestic industry concerns as much as by capability outcomes; and there will always be an overhead associated with having 29 defence forces. 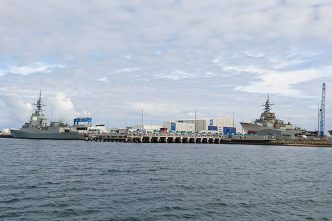 But achieving even close to the 2% goal would probably generate enough military power to deter Russia if that spending is focused on that task, particularly when combined with actions to use that power such as measures NATO is already undertaking to forward-deploy combat forces from its big members into the exposed Baltic states, forestalling a Russian coup de main. However, one of the problems facing NATO’s European members is that the organisation’s focus has expanded since the end of the Cold War. Threats such as terrorism originate well outside Europe. Whatever Trump may think, European countries have been active in supporting international counterterrorism operations, for example in Afghanistan (in explicit support of the US in response to Article 5), Mali and now Iraq. If the main task is to defeat terrorism at its source, 2% is probably enough to develop and deploy light expeditionary forces for peacekeeping, stability operations and counterterrorism. But 2% may not be enough to do both. Just as the US is realising that the main game is China, so the European members seem to be refocusing on Russia. At the same time, however, they’re still conducting expeditionary operations far from home. Like Australia, Europe will find it hard to generate a force structure that has the heavy, conventional forces that can deter or defeat major state aggression as well as the deployable assets that can deal with unconventional adversaries around the world, even with 2% of GDP. Prioritisation will be essential. And 2% will not be nearly enough should the European members’ focus fundamentally change. Deploying heavy, conventional expeditionary forces around the world to fight peer or near-peer adversaries is the most challenging task for any military. That’s what the US is finding it difficult to do even with 3.5% of the world’s biggest GDP. Marcus Hellyer is ASPI’s senior analyst for defence economics and capability. Image courtesy of The White House on Flickr.